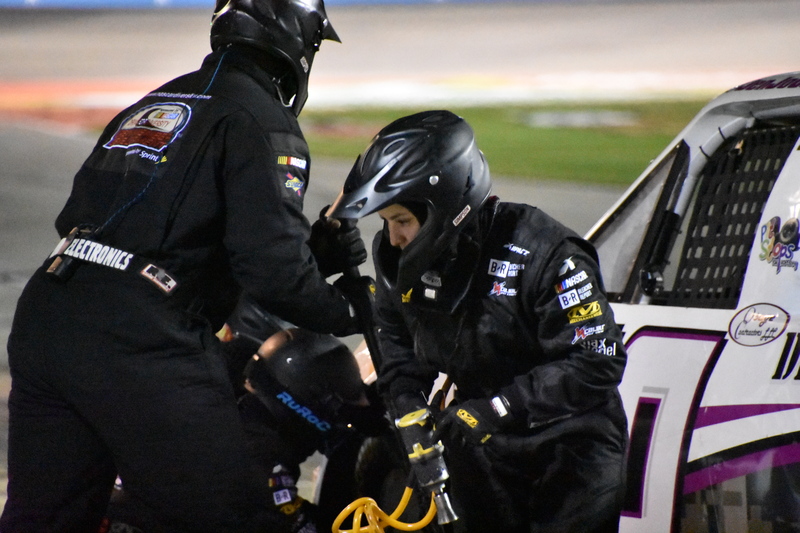 Prior to 2016, Breanna O’Leary of Amarillo, Texas could never have imagined being in the world of NASCAR. After all, her comfort zone in sports was in the softball field. By the same token, O’Leary was an integral part of her Alcorn State University softball team as an outfielder. 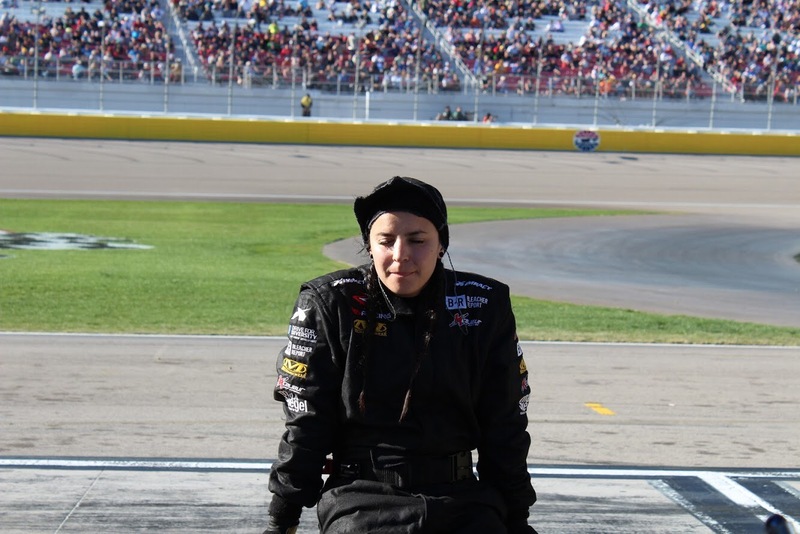 Be that as it may, the 27-year-old Amarillo, Texas native traded her hat, jersey, gloves, and bat for a helmet, firesuit, knee pads, and an air gun for the asphalt arena. Nevertheless, O’Leary’s journey into NASCAR is quite unique. As previously covered, this Texas native’s prior knowledge of the sport was through her friend’s father. 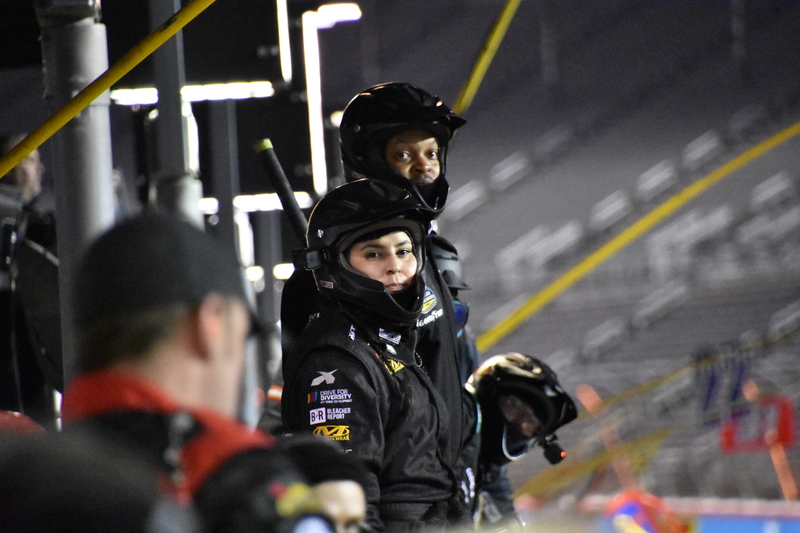 Through the NASCAR Drive for Diversity program in 2016, O’Leary worked her way into the stock car racing season. 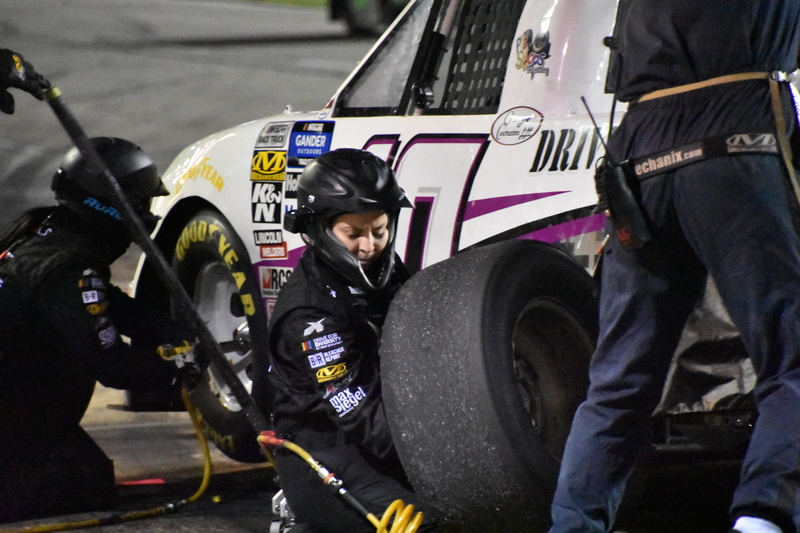 With numerous races in ARCA and NASCAR’s top three series under her belt, this Lone Star State native made history earlier this year as one of two women to pit in the 61st Daytona 500. Despite her accolades and accomplishments, O’Leary is a truly humble, considerate individual. However, when she’s in race mode, she’s determined, competitive, and unwavering. Sure, changing tires may seem like a simple task. 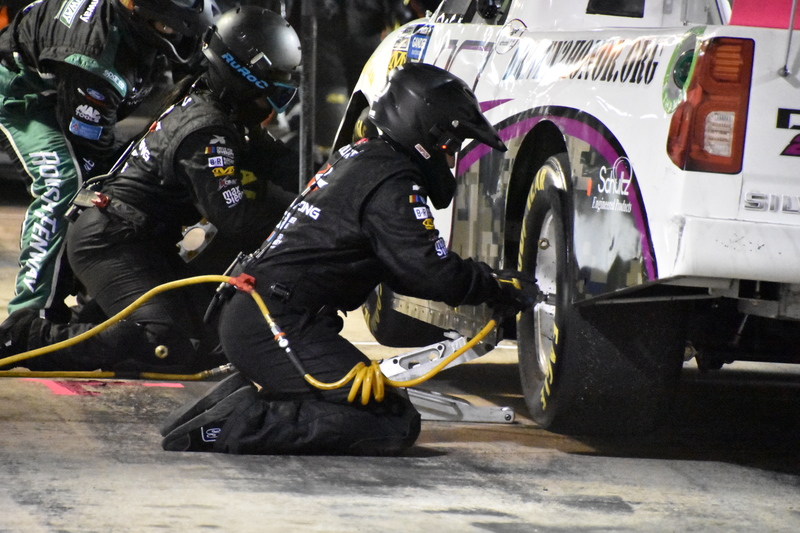 Ultimately, O’Leary’s role on the pit crew plays an equal part for a race team’s effort as the driver relying on their team for a quick stop. 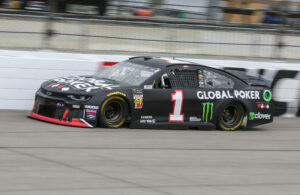 Speaking of stop, that’s exactly what O’Leary did for about 20 minutes prior to last Saturday’s NASCAR XFINITY Series race at Texas Motor Speedway. Least to say, O’Leary was as ready for her latest interview on TPF as she was for pit stops that afternoon. Without further delay, let’s go “Over the Wall with Breanna O’Leary” and catch up with her, here on TPF! 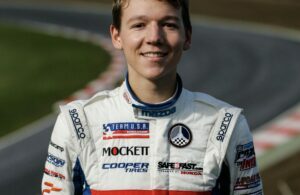 Rob Tiongson : Since we last talked, you’ve progressed further along in your racing career. You did the Daytona 500 with your roommate and friend Brehanna Daniels. I believe it made you the first women to change tires in the Daytona 500. Tell me about that experience and how harrowing it was with that pit road incident that happened in front of y’all. Breanna O’Leary : That didn’t happen at the Daytona 500 did it? Did it? Oh, I didn’t even realize that! (laughs) OK, so basically a lot has happened since then! The whole experience leading up to it was just kind of trying to stay calm, cool, and collected. Then of course, when the time came, the buzz around the garage, of course, was a little more hyped up on a day like that. But, you kind of feed off that energy, so it was a lot of fun. It was just easy to stay level headed and enjoy the experience. Rob Tiongson : Now, would you say your experience playing softball at Alcorn State helped you out with not being overwhelmed by the hype, glitz and glamor, and pageantry of the race? Breanna O’Leary : Oh, definitely! I would say that with college softball, you have to perform under pressure. That’s exactly what doing a pit stop is (all about) – performing under pressure. That’s able to translate from college softball to pit stops. Rob Tiongson : Absolutely! I’ve seen you’ve improved over the past few years. You’re very dedicated and focused. Of course, I’m sure you’re very competitive with your efforts. How do you balance your emotions with the good and bad days in the sport? Breanna O’Leary : I definitely have to remind myself after a bad day, “OK, that was one day. Tomorrow is a new day.” You have to have short term memory. You can’t carry things over or else your bad day will turn into a bad month. Rob Tiongson : I’m sure Coach Horton preaches that to you a ton! What’s it like to work with someone like him who’s been involved in NASCAR and other sports? Rob Tiongson : With this in mind, what’s the funniest thing that he’s told you to lighten the mood, if he has? Rob Tiongson : You’ve been a part of stock car racing over the past few years. I’m sure you’ve had that moment where you felt welcomed or initiated into NASCAR. What has to be your “Welcome to NASCAR moment” so far in your career? Breanna O’Leary : I would think maybe just everybody being so receptive of me being in the sport and being welcoming and cheering me on. Even the guys that do pit, helping me out and looking out for me, just feeling like a part of the community was probably that moment. Rob Tiongson : That’s pretty cool. For the fans at home, describe a typical week in the life as Breanna O’Leary. Breanna O’Leary : Let’s see. I actually like to be in bed early so I can get up early and go to the gym. I do have a full-time job so it’s like gym, job, practice, and then go home and do it all over again until the weekend comes. Breanna O’Leary : Yep, they tell me where to go, who to find, and that’s what I do. Rob Tiongson : Now, how far ahead do you find out when you’ll be at a race? For instance, with April coming up, do you know who you’ll be with and where you’ll go? Breanna O’Leary : Yes, so as far as that goes for me, no, I typically get my assignments the week of the race. Sometimes, it’s frustrating but it is what it is. You just have to be ready to go. Rob Tiongson : You’ve got a unique perspective with this. Describe what it’s like to change those tires, lift the old ones from the car, and then put in the new tires. Breanna O’Leary : Sometimes, it happens so fast that I don’t even think about it. Maybe my carrier might hit me, and he’s like, “Did I hit you?” And I’m like, “I have no idea.” It just happens so fast that you can’t think. You’re just doing and reacting and going and moving, doing what you’ve practiced. Rob Tiongson : I’d have to say you’ve empowered a lot of folks in the sport, whether it’s young girls, someone who’s a minority, or someone who’s been a college athlete and has been through what you’ve been through. What’s it like to be a role model to folks? Rob Tiongson : I know you’ve had your family here at a race before. 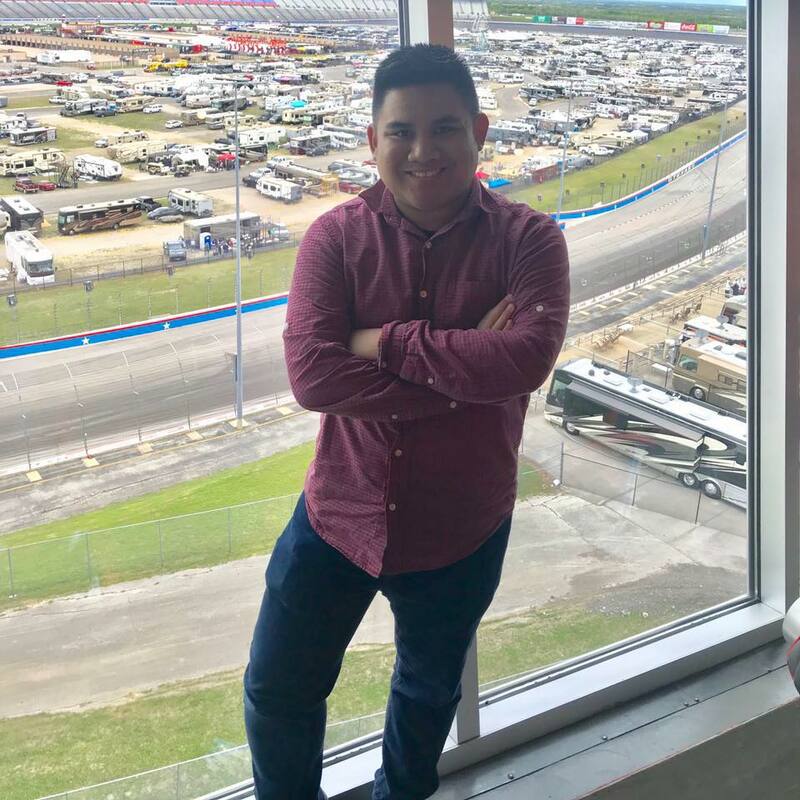 What’s it like to have that familial connection with NASCAR now versus before? Breanna O’Leary : I think the coolest part about all of that is that none of my family were racing fans. So, all of us are learning together and we’re learning about the sport together. And I get to teach them what I know. Now, they get to be excited about the sport because I’m a part of it. So, it’s just cool to bring something new, not only into my life, but family’s life as well. It’s something else to bring us together and cheer me on for. Rob Tiongson : And the cool thing is that they get to see you do something that’s way outside of your comfort zone, wouldn’t you say? Breanna O’Leary : Oh yea, definitely. So, this is kind of fairly new to me too. It’s really new to them. This will be their second race. Rob Tiongson : Oh, wow! So, this is like an out of body experience for them! Breanna O’Leary : Yea, they’re excited and I’m excited for them to get here as well! Rob Tiongson : Let’s do a little Free Association. Tell me the first thing that comes to mind with the following random topics. Dream vacation destination. Breanna O’Leary : I’m dying to go to Australia. Rob Tiongson : Which part? Breanna O’Leary : Is there different parts? (laughs) I just thought it was one little island! Breanna O’Leary : All of it! Breanna O’Leary : Strawberry short cake from Jason’s Deli. Oh my gosh. (chuckles) So good! Rob Tiongson : Are you just imagining about it right now? Breanna O’Leary : That’s my support system. Breanna O’Leary : I don’t know. That’s a tough one. I don’t know. I just try to be supportive of everybody and cheer for everybody. If there’s somebody who doesn’t like me, I’m like, “I guess that’s on you.” I don’t think I have any. Rob Tiongson : Most obscure rap lyric that you’re inspired by is..
Breanna O’Leary : Oh gosh! (laughs) You know what’s funny? The other day, I don’t think this is a rap lyric though…I was thinking of…oh my gosh, I totally forgot. I’m on the spot now, and I forgot! Rob Tiongson : It’ll come back! Breanna O’Leary : It probably will. Rob Tiongson : Or with your appearances on TV like when you met Michael Strahan. Rob Tiongson : Did you get a chance to talk with him? Breanna O’Leary : No! I didn’t. Breanna O’Leary : Oh my gosh! There’s this song that plays on the radio at work fives times a day and I can’t help but sing it. And then to my coworker, I’m like, “I don’t like this song!” And he’s like, “Me either!” What is it called? Rob Tiongson : You can sing it if you wish! Breanna O’Leary : It’s a female artist. Oh my gosh, dang. I guess since I don’t like this song that I didn’t think to learn the name of it. Rob Tiongson : Do you know the artist? Breanna O’Leary : Probably recently, and I say this every time, but all of the dóttirs in Crossfit like Sara Sigmundsdóttir and Katrín Davíðsdóttir, they’re all from Iceland and they’re big and strong, and proud of it! I love them! Breanna O’Leary : (laughs) I would probably have to size them up first and let them know that I’m not good at arm wrestling, believe it or not! Rob Tiongson : We’ll have to try this sometime! What was your guilty pleasure TV show that you enjoyed? Rob Tiongson : Have you watched Lindsay Lohan’s MTV show as well? Breanna O’Leary : I literally just watched that one and the OG Teen Mom and Teen Mom 2. Those are the only ones I’ve watched. Rob Tiongson : Oh my god. (laughs) This is…I’ll have to watch this to understand this! Breanna O’Leary : Blaze Pizza. I eat there at least once a week. It’s so good! Rob Tiongson : Is there a particular topping that you enjoy? Breanna O’Leary : Well, they have their own build pizza, so I get quite a few toppings. A few veggies, so I mean, it’s fine. Breanna O’Leary : (laughs) That was a lot of fun! I have never really interacted on it. So that little “Ask me anything” was a cool format! Rob Tiongson : What was the most ridiculous question you were asked on it…besides mine? Breanna O’Leary : (laughs) There wasn’t really too many ridiculous ones because I think a few were deleted before I got to them. Somebody asked me, “Cat or dog person?” And I was hoping somebody would because I’m definitely a cat person all the way. I love them! Rob Tiongson : Speaking of, how much do you miss your cats? Rob Tiongson : So, it’s perfectly normal for us to worry and text about our cats, eh? What is your biggest challenge that you face to this day and are just determined to overcome as you find your way into the sport? 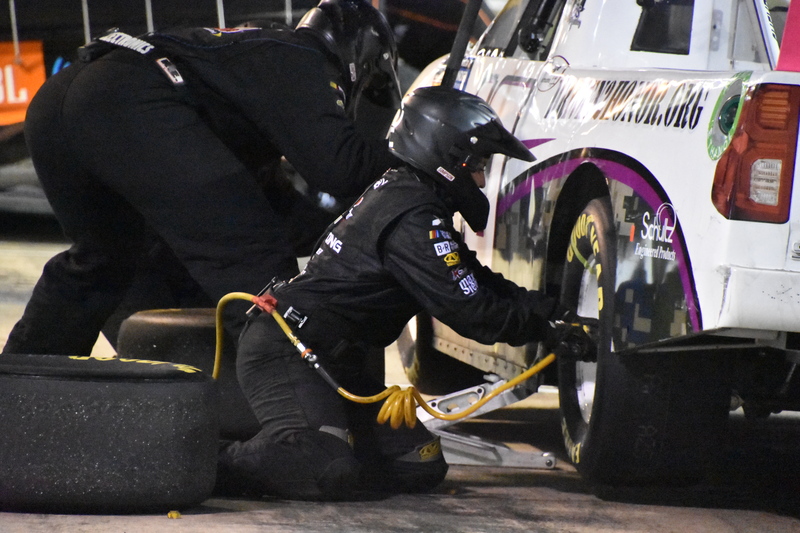 Breanna O’Leary : I think literally finding your way in the sport and getting to where you want to go and just earning your respect as a tire changer is where I’m at right now. It’s kind of like I’ve learned it so now I have to prove myself and definitely that’s the most challenging part right now. Rob Tiongson : Are there times that you want to curse at those tires when they’re not going your way? Rob Tiongson : Oh no! Probably not safe for the kids at home? Rob Tiongson : Is there a certain tip or advice that you want to tell folks who are trying to achieve their dreams? Breanna O’Leary : I know it sounds cliché, but like hard work – you can’t get anywhere without hard work. That should be your foundation for everything and start from there and go from there. 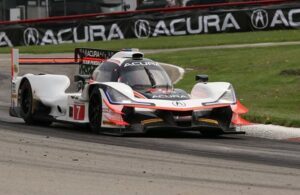 Rob Tiongson : Texas is your home track but are there other tracks that you enjoy going to? 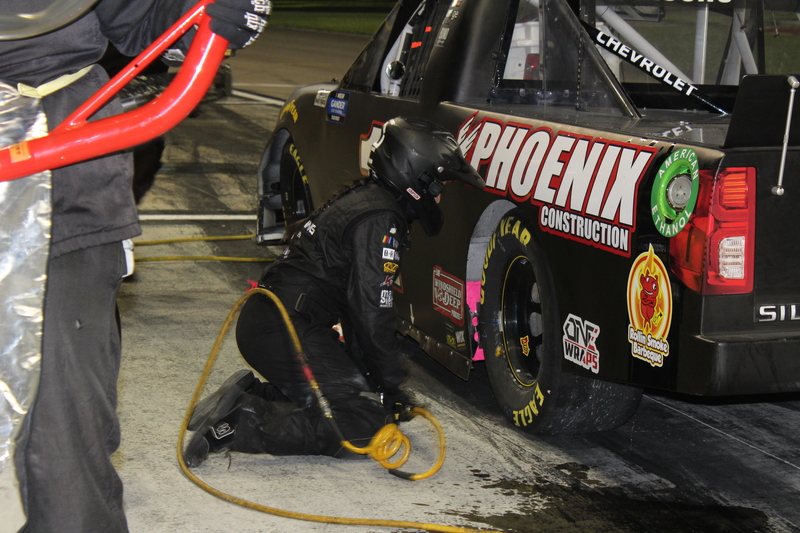 Breanna O’Leary : I think I’ve kind of grown into a positive relationship with Daytona. I’ve had a lot of fun experiences there. Even Michigan as well. But I always look forward to Daytona. I’ve had a lot of fun there and I’ve made history there. It’s Florida. It’s the beach, you know? Rob Tiongson : The beach…Daytona…with the history you made there, does it sometimes feel quite normal to you? Breanna O’Leary : Yea, so definitely, at the end of the day, I’m just out here to do a job and I have to remember that that’s why I’m out there. Rob Tiongson : How much of an inspiration is your little bundle of joy, your nephew Everett to you knowing he unconditionally loves you and doesn’t judge you at all? Breanna O’Leary : Every time I get to see my nephew, obviously he lives here in Texas, I’m just so so excited. Kids just love unconditionally and he’s into cars right now. I got him little die-cast of a couple of cars that I’ve pitted on. And I get to see him play with those. It’s just so exciting. Special thanks to Breanna for taking the time to catch up with me last weekend at Texas Motor Speedway! 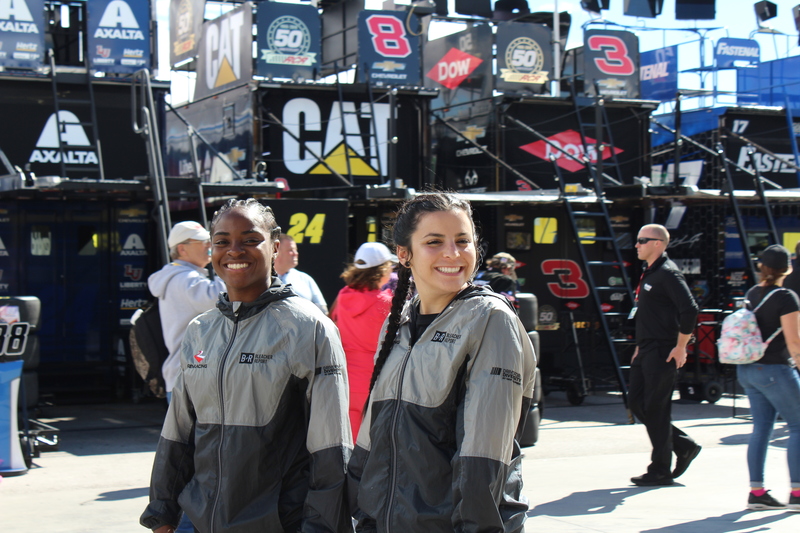 If you’d like to learn more about Breanna and the NASCAR Diversity program, “Follow” them on Twitter! 30-something motorsports journalist who enjoys sports like baseball, basketball, football, soccer, track and field, and hockey. A Boston native turned Austinite, racing was the first sport that caught my eye. From interviews to retrospective articles, if it's about anything with an engine and four wheels, it'll be here on TPF, by me or by one of my talented columnists who absolutely have a passion for racing. Currently seeking a sports writing, public relations, or sports marketing career, particularly in motorsports. I enjoy editing and writing articles and features, as well as photography. Graduated from Southern New Hampshire University with a Bachelor of Arts in Communication. Proud to be from Massachusetts, just as happy to be a Texan. 30-something motorsports journalist who enjoys sports like baseball, basketball, football, soccer, track and field, and hockey. A Boston native turned Austinite, racing was the first sport that caught my eye. From interviews to retrospective articles, if it's about anything with an engine and four wheels, it'll be here on TPF, by me or by one of my talented columnists who absolutely have a passion for racing. Currently seeking a sports writing, public relations, or sports marketing career, particularly in motorsports. I enjoy editing and writing articles and features, as well as photography. Graduated from Southern New Hampshire University with a Bachelor of Arts in Communication. Proud to be from Massachusetts, just as happy to be a Texan. Copyright © 2015 The Podium Finish | Site created by lunamaradesigns.com.